Sorry I didn't get around to posting pictures earlier - I'll put some in at the end of this post! - We went to Waterford Crystal! It's the one thing that Waterford is actually known for. I didn't even know about it though, until my Mom informed me a couple weeks before I came here, so there's an indication about how big Waterford is haha. It was pretty neat though - we paid to go on a tour of the factory, where we got to walk through and watch each step of the process as to how they make the trophies, wine glasses, etc. I thought it was a bit awkward to be watching all these people at work, but it was also pretty cool. We took a wander through the gift shop after, to check it all out and see if could we afford anything, anything at all. The answer was a resounding no. To lengthen this post now, I've decided after two months, I am now qualified to make some lists. - Tim Hortons withdrawal is a very real thing. 2. Not having to use so much brain power just to understand what people are trying to say to me. 3. Knowing which side of the sidewalk to walk on. - You would think because they drive on the left side, people walk on the left side. However this is not the case. I've tried both sides, and either way, I still end up playing mind games with people coming the opposite way. The first month, I thought everyone was probably thinking I was crazy, switching from side to side, but really, there is no method to this madness. - I'm not an agressive person, I swear, but there is something therapeutic about hitting them. 5. Automatically having hot water to do the dishes, rather then having to boil the kettle and use that water haha. - Just to clarify, I do not miss all the studying, but needless to say, I am quite disappointed with school here. Neither the profs nor the students seem to care much about classes, though I am in only three, so I won't generalize that to the entire school. 7. THE WEATHER. WHY IS IT SO NICE BACK HOME?! - I think my cheeks are permanently tear-stained from crying constantly from the wind. - At home, the car beats walking almost every time. Here, there's no option of a car haha, and I've come quite accustomed to walking. - Every third shop is some sort of cafe, and I love it. 3. Everyone I've met here. 4. How cheap it is to fly to other parts of Europe. Canada is crazy expensive. 5. The minimal amount of school work. 6. Being able to take a bus for five hours, and arriving on the other side of the country. - Everything is so close, which makes traveling much easier. - I miss mountains, but Ireland is also stunning in it's own right. 1. Brittany is not a common name here. 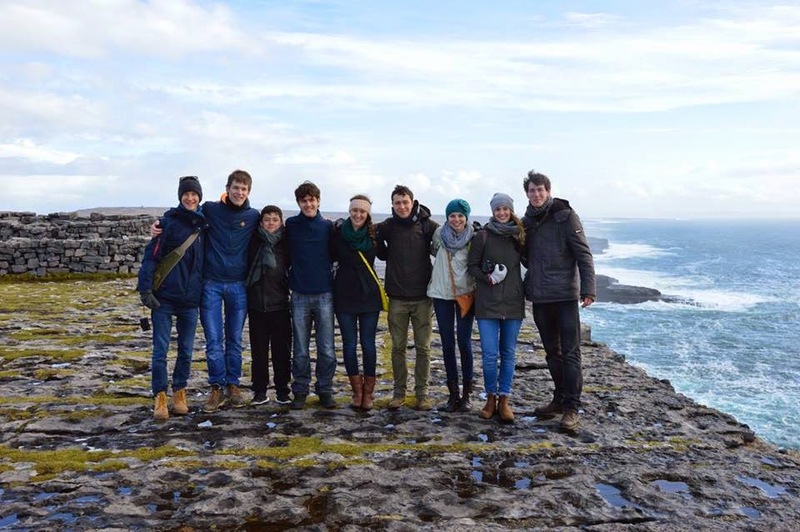 I've asked a couple Irish students whether they know any other Brittany's, and they don't. Also, for my friends from Spain and Poland, Brittany was hard to pronounce at first. Who knew? 2. People can surprise you, when you really give them the chance. 4. School as a system in Ireland is quite different compared to Canada. I've learnt about how school is structured in Germany and the Netherlands as well, and it seems every country has their own very, very unique way of implementing education. For example, the Netherlands have five different types of high school - so you may be in high school for five years, you may be in it for eight. I guess that explains why degrees in one country aren't accepted in other countries. 5. Writing a limerick is hard. 6. Being Canadian is simply straight up awesome. This is what we saw when we were rebelliously climbing around the outside of the Rock of Cashel. Like I said before, I don't think we were supposed to (seeing as there was a 'no climbing' sign haha....) but it was pretty spectacular to see. The view from the top of King John's Castle in Limerick, overlooking the city and the River Shannon. 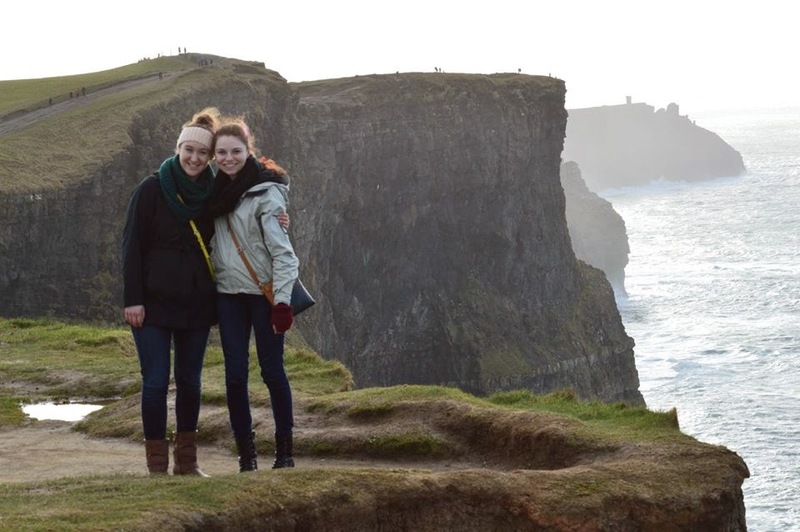 Me and Julie at the Cliffs at Moher. 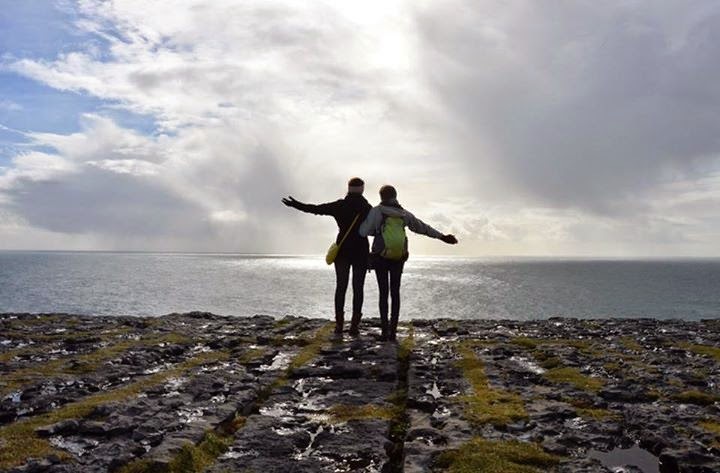 Also Julie and I, this time at the Cliffs on the Aran Islands. I kind of love this picture a little bit.